Attorney Bernard Walsh, Attorney David Goldman, and members of the civil trial law firm Shapiro Goldman Babboni Fernandez & Walsh have sponsored and attended 2017 Sarasota Pride Fest in Florida. SARASOTA, Fla. /Mortgage and Finance News/ — Attorney Bernard Walsh, Attorney David Goldman, and members of the civil trial law firm Shapiro Goldman Babboni Fernandez & Walsh have sponsored and attended Sarasota Pride Fest. Held at J.D. Hamel Park in Sarasota Florida, the Sarasota Pride Festival drew hundreds of visitors from the Sarasota LGBT community as well as members of the wider Sarasota area. 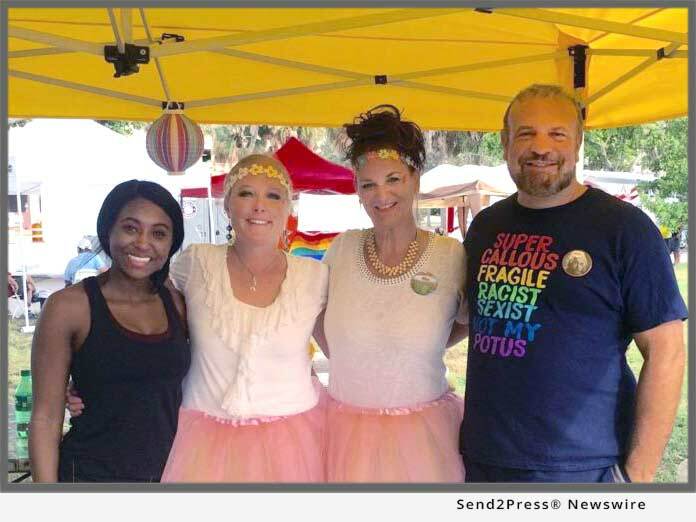 Entitled “Resist & Rise Up,” the event was held to forge stronger community ties, and increase awareness of the Sarasota area LGBT community in a fun and engaging festival. Event sponsors and vendors involved with the festival included dozens of local businesses from a wide variety of industries. Shapiro Goldman Babboni Fernandez & Walsh, a “Silver” sponsor of the event, also attended the event hosting a booth. Several members of the law firm engaged with festival goers including Event Coordinator Debra Burger, Legal Assistant Clara Padelford, Attorney Bernard Walsh and Attorney David Goldman. Attorney Bernard Walsh had this to share about the Sarasota Pride Festival: “We have returned as a sponsor of Sarasota Pride year after year. The event has always been lively, and a great time for everyone involved and this year was no different. The lawyers of Shapiro, Goldman, Babboni, Fernandez & Walsh have more than 100 years of combined Florida legal experience in personal injury, wrongful death and other negligence cases. Our partners have handled more than 10,000 non-fatal and fatal personal injury cases, where death or brain, head, neck, back, spinal cord, shoulder and knee injuries have resulted from car, truck, motorcycle or boat accidents. Attorneys at Shapiro Goldman Babboni Fernandez and Walsh are active and deeply involved in the communities of Bradenton, Sarasota, St. Petersburg, Punta Gorda, Lakeland, Tampa, Venice, Fort Myers, and Englewood. Photo Caption: Attorney David Goldman (far right) and members of the personal injury law firm Shapiro Goldman Babboni Fernandez & Walsh at Sarasota Pride.